This English resource page is intended to assist State Operated Programs’ teachers and education staff find quality resources and lesson ideas on the web. The following links and documents have been provided to meet the needs of the specific population and classroom environments found within Virginia’s State Operated Programs’ education centers. This website combines the dictionary with an exciting, adaptive learning game that will have your students mastering new language and words in no time! Did you know that your favorite dictionary also offers fun word games? Learn to spell it, name it, and define it! Have fun with words! Students can challenge themselves with vocabulary while feeding the hungry! For every correct answer, the World Food Programme will donate rice to help end hunger. Sponsored by www.dictionary.com, students can access word games and test preparation. Teachers can create PowerPoint quizzes and flashcards, as well as access quizzes made by other educators. Add a little upbeat, hip-hop to your English classroom! Rap and sing along to videos showcasing a variety of contents, including vocabulary, grammar, literature, and research. A small yearly, fee covers all resources. 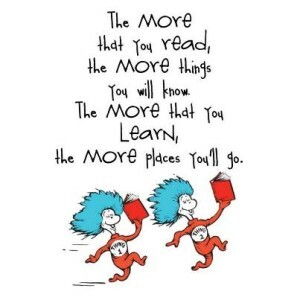 Reading A-Z offers over 1,000 leveled reading resources in multiple genres and formats. The leveled reading program has 27 levels of difficulty with thousands of downloadable, projectable, and printable materials for teachers. A free trial is offered so teachers can explore the website. The yearly fee to purchase is minimal. ReadTheory offers leveled reading passages designed to improve reading comprehension and also allows students to be challenged as their reading improves. Using the Virginia SOLs, this interactive site provides comprehensive, standard-aligned language arts practice for K-12. IXL tracks student progress and displays proficiency scores, providing the teacher tools to evaluate student aptitude and identify trouble spots. DOGO News provides short, high-interest articles on multiple topics with multiple supporting resources. EdHelper offers a variety reading resources for English and Math teachers. The site includes leveled reading books, charts and bulletin boards, writing prompts, worksheets, literature units, coloring books, and much more. By promoting critical thinking, education, and informed citizenship by presenting controversial topics in a straightforward, primarily pro-con format. This website provides over 50 controversial issues with supporting documents to encourage students to think critically and be educated through conversation. The New York Times newspaper has a student opinion page and blog that showcases current issues in the news. The online site also offers teachers lesson plans and new quizzes for interactive fun in the classroom. Using the daily news, NEWSELA provides an innovative way to build reading comprehension with non-fiction that’s always relevant. Using KIVA, teachers can use real life situations to teach persuasive writing. Students can chose a person and write a persuasive essay as to why their person should receive the micro-loan. With free teaching and learning resources from federal agencies, teachers have access to lesson plans, animations, photographs, videos, and primary documents. This is an excellent site for history, social studies, math, science, arts, music, and language arts. 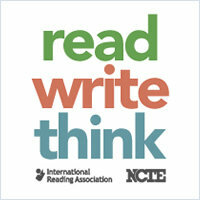 ReadWriteThink provides educators and students access to quality classroom and professional development resources in reading and language arts instruction. The Kennedy Center’s program connects teachers to creative classroom ideas and activities. With art, music and theater as the mediums, teachers are able to provide new and innovative resources to their students. LearnZillon offers free lesson plans with a multitude of resources. The Annenberg Learner uses media and telecommunications to advance excellence in the classroom. The multimedia resources provided by the Annenberg Foundation helps teachers increase their expertise and assist them in improving their teaching methods. Designed as an education resource in partnership with the Discovery Channel, this website has blossomed to include a huge include a huge library of resources for all disciplines and grade levels. Most of the offerings—clip art, Puzzlemaker, Brain Boosters for math, science, and language arts, and lesson plans—are free. Some streaming videos are also free. 1. Authentic Questions: Questions that open a dialogue between students and lead to an understanding that did not exist before; there may be multiple “right” answers, no “right” answers, or no answers at all. 2. Capsule Vocabulary: A word connecting activity that includes reading, speaking, and writing: In groups of two, students each use ten vocabulary terms (assigned by the teacher or selected from their reading) in their conversation, record their usage, write a summary of the topic discussed, and share their results with the class. 3. Carousel: A group brainstorming strategy where students pull out and think about what they know about subtopics within a larger topic. 4. Clock Buddies: A method to create pairs for partnered activities and avoid students always having the same partner. 5. Column Notes (Also called Double-Entry Journal): A strategy in which students write down words, phrases, and sentences from their assigned reading in one column, then record their responses to these elements. The strategy works well across content areas as a way for students to record key words associated with textbook section headings, reading for cause and effect, semantic feature analysis, and word maps. 6. Concentric Circles (Inside/Outside Circles): A discussion strategy to provide students an opportunity to respond to and/or discuss questions in a structured manner. 7. Concept of Definition Map: A visual organizer that helps students make connections between the main idea and other information; for vocabulary, it provides a framework for organizing in the process of defining a word. 8. Framed Paragraph: A pre-writing tool to help students write strong paragraphs; includes transitional phrases and sentences as a guide. 9. Gallery Walk: A group discussion strategy that helps motivate student engagement: The teacher posts four to five discussion questions at different “stations” on the walls, at empty desks, or on computers, then student teams rotate every three to five minutes to read, discuss, review what other teams have written, and post their own response to the question. The teacher addresses any misunderstandings, and once groups return to where they began, each team synthesizes the comments for an oral report. 10. Graphic Organizers (Group and Individual): A general term for a variety of pictorial organizers, webs, maps, and other visual aids to represent ideas, facts, and concepts. 11. History Frame/Story Map: A technique that incorporates visual representations to help students organize important elements of a story or historical event. 12. Journal/Learning Log: A writing tool to help students develop skills in reflection, observation, and evaluation of their learning. 13. Opinion-Proof/Conclusion-Support: A variation of Column Notes; a two-column chart where students seek to provide support or evidence from the content to reinforce an opinion they have put forward. 14. Pattern Puzzles/Mystery Pot (Group and Individual): A thinking activity combining physical manipulation of pieces with mental manipulation of concepts; for example, ideas are mixed up and students must sort them out, or ideas are arranged one way and students must rearrange them. 16. Power Thinking: An alternative system of outlining; involves assigning “Power” levels to information according to whether it is a main idea, a subtopic, or detail. 17. Problem-Solution: A variation of Column Notes; focuses on four critical thinking components for problem-solving: problem identification, consequences/results, isolating causes, and proposing solutions. 18. QARs (Question-Answer Relationships; Group and Individual): A strategy used after reading to help students understand four different types of questions: Right There, Think and Search, Author and You, On Your Own. 19. RAFT (Role, Audience, Format, Topic): A writing strategy to help students understand their role as the writer, the audience they will address, the different formats for writing, and the topics they will write about. 20. Seed Discussions: A two-part, small group activity to help students learn how to engage in a discussion about their reading. In the first part, students read independently and identify key concepts (the “seeds”) they feel need more explanation. In the second part, students work in their groups, present their “seeds,” and thoroughly discuss each concept. 21. Selective Underlining/Highlighting: A strategy to help students organize what they have read by selecting what is important: key words and/or phrases, vocabulary, and central ideas. 22. Semantic Feature Analysis: A graphic organizer that helps students understand the meaning of a word through comparing features and characteristics. 23. Sentence Synthesis: A writing activity to help students develop the necessary skill for correct sentence combining in order to advance their utilization of language. 24. Sentence/Word Expansion: A writing tool to help students develop their writing skills and/or summarize their reading. 25. Spool Paper: A writing template to help students compose a five-paragraph essay: an Introduction paragraph with a “grabber” or “hook” and thesis, three Detail/Body paragraphs with supporting arguments and evidence, and a Conclusion paragraph. 26. Sticky Notes: A reading strategy to help students develop active reading skills, organize their thoughts, and recall important information. 27. Sum It Up: A summarizing strategy to help students focus on key words and phrases to reduce a text to its main points. 28. Summarizing: A strategy to help students determine essential ideas and consolidate important details to support these ideas. 29. Think, Pair, Share: Collaborative learning activity in which students work together to solve a problem or answer a question about the reading. 30. Venn Diagram/Comparison: A visual representation of the similarities and differences between concepts, compared using overlapping two or three ovals. Shared characteristics of a concept are written in the overlapping portion of the ovals. 31. Word Combining (Pattern Writing): A writing activity to help students understand sentence structure and parts of speech. 32. Word Map: A graphic organizer that promotes vocabulary development as students think about words or concepts in different ways, including definition, synonyms, antonyms, and drawing pictures. 33. Writing Template: A writing tool to help students develop stronger essay writing skills. The Online Writing Lab (OWL) at Purdue University houses a variety of writing resources including citations, research, ESL, and APA/MLA guides. Great resource for formatting and grammar. Looking for unique and creative ideas for journal prompts? TED is a nonprofit devoted to sharing ideas through short, powerful video talks covering a diverse selection of topics (i.e. science, business, global issues, etc). Online quiz program that allows teachers to create their own questions. Free 30 day trial available and then annual fee of $49.00. Help your students improve their grammar and writing skills. Track growth using color coding, provide students with unlimited assistance when they need it, and receive immediate feedback on written assignments and quizzes. Basic services are free. Quizlet’s flashcards, tests and study games make learning fun with a wide-range of topics. An excellent English resource for grades kindergarten through college. 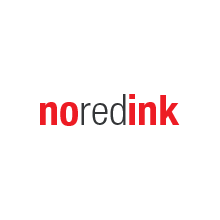 This website also features a ReadWriteThink learning lab, which is visually appealing, and the different activities are workable with any lesson. The site also provides links to other English web resources, which are updated regularly.